You have taken on a new role–that of a Product Owner. You are excited and raring to get at the job. But it is also overwhelming; wondering what you are getting into. The more the role leans towards heuristics, instinct and experience, the more ambiguous it is and the greater the feeling of being lost. A Product Owner role is a heady mix of one part science and nine parts art. One way to equip yourself is by reading on the subject. 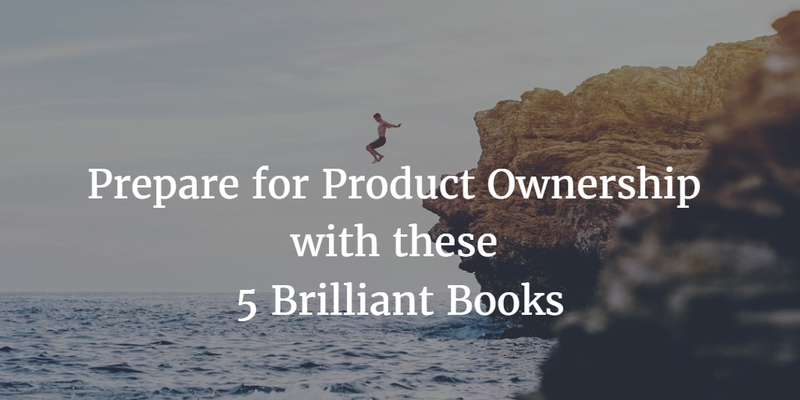 I have identified five books which will be a start at exploring elements of Product Ownership–Facilitation, Communication, Ideation, Design & Requirements Management. The selection criteria for this list is readability and treatment of fundamental topics. This list is not sufficient, but it is certainly necessary. Mike Cohn seminal book on user stories is still the best place to learn the “rules”. I remember being blown away by the INVEST principle when I read it the first time. The explanations are on target and there is a lot of practical advice. I recommend this book because user stories and user story management form the basis of agile methodologies. One of the fundamental skills that a Product Owner needs to cultivate is the art of facilitation. This skill is important for consensus building, brainstorming and detailing. “Innovation Games” contains 12 different exercises, each with its specific objectives and context. As defined by the author, an innovation game is a fun way to collaborate with customers to better understand their needs. The need for Innovation Games stems from the fact that traditional approaches seem to be either overly simplistic questioning (“Tell me what you want”) or complex market research (derive data and over analyze it). The author calls it a form of “qualitative market research”. The other big difference with Innovation Games is its ability to focus on the “unknown unknowns” as opposed to “known knowns & known unknowns”. Product Owners have to deal with business models in some form or the other. “Business Model Generation” introduces us to the Business Model Canvas, one of the best ways to articulate business models. The book doesn’t stop with just the tools. It takes the concepts to a higher level by introducing us to the common patterns that exist in business models. And then, it lets us know how we can use this concept to take our current business models and innovate using them. The explanation is clear and structured. The use of simplistic language, with little to no jargon, makes this book all the more accessible. There is a plethora of examples to help us concretize the concepts in our minds. User Experience makes or breaks products. So, it is in the interests of every product owner to at least understand fundamental design principles. The Design of Everyday Things is a great book on this subject. The concepts covered in this book range from how people think to how they act; from how people use things to how things are designed. All of this is at a basic level of design and is not confined to digital technologies. The writing is easy to read, and the book is brilliant in its use of examples and anecdotes. A product owner spends most of their time thinking or communicating. A key skill to develop is the art of visual thinking. The basic premise is that any problem can be made clearer with a picture, and any picture can be made using the same simple set of tools and rules. Knowing how to draw well is not a prerequisite for Visual Thinking; rather it is the ability to think clearly that is. The Back of a Napkin is a brilliant book that teaches Visual Thinking using Visual Thinking techniques. The second half of the book deals with a specific business case which the author dissects using the techniques spoken about in the first half. The best way to learn Product Ownership is on the job combined with shadowing experience product owners. Reading books is a great way to get your foundations right and to learn from the experiences of others around the world. I would encourage you to use these five books as stepping stones to more reading in specialized topics.